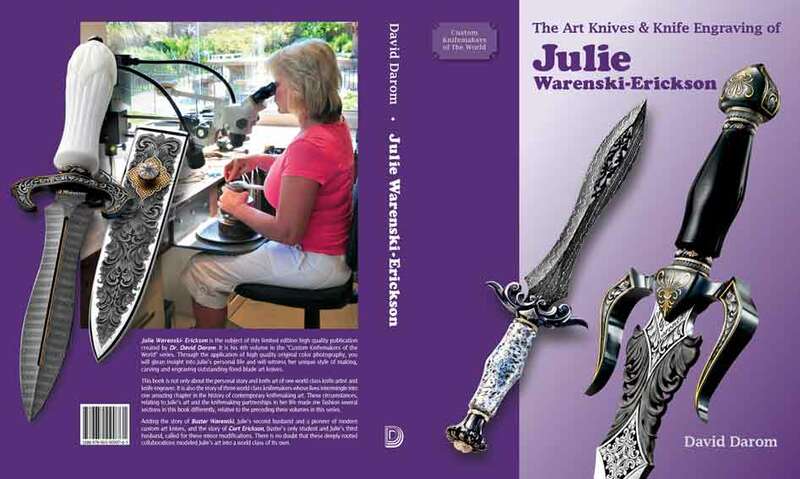 There is a newly published book about Julie Warenski-Erickson which is fascinating. 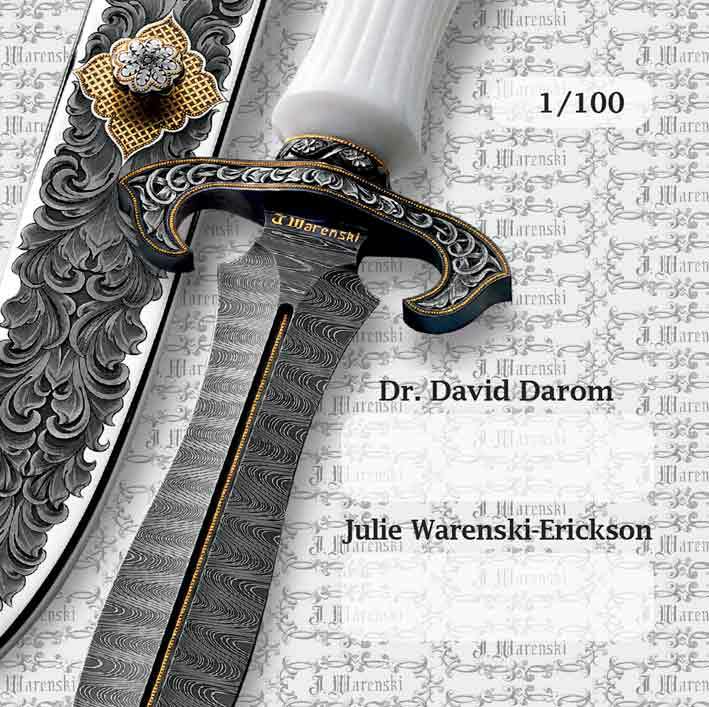 This book is the fourth in a series of high quality books by David Darom titled "Custom Knifemakers of the World". 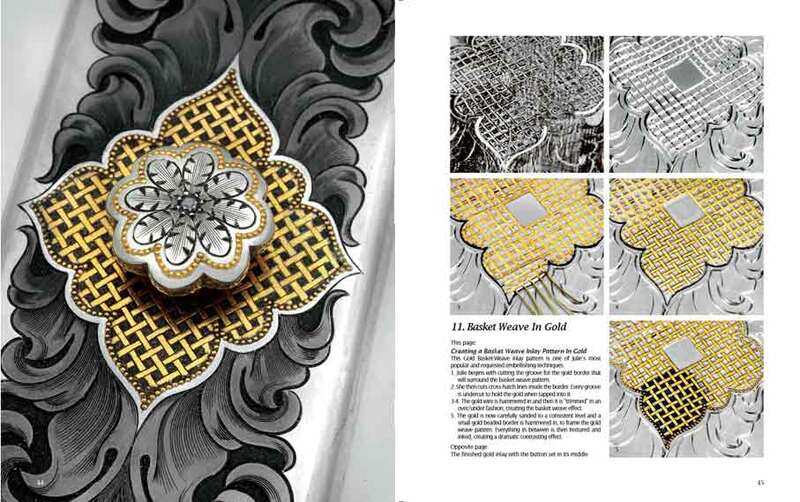 Numerous sections of this Julie Warenski-Erickson book cover many engraving and knife making techniques. It is loaded with high resolution color photographs. 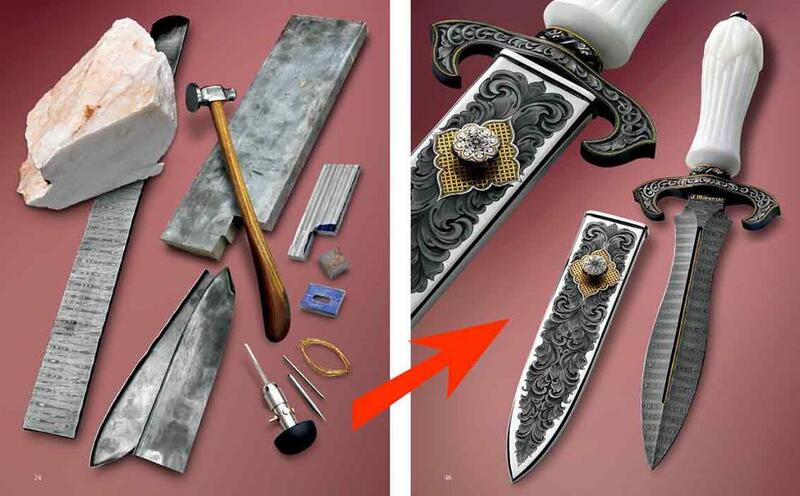 Buster Warenski's knives and work are shown throughout, a great tribute to Buster's life and amazing art knives. Julie not only engraved Buster's knives but many other top knife makers through the years. 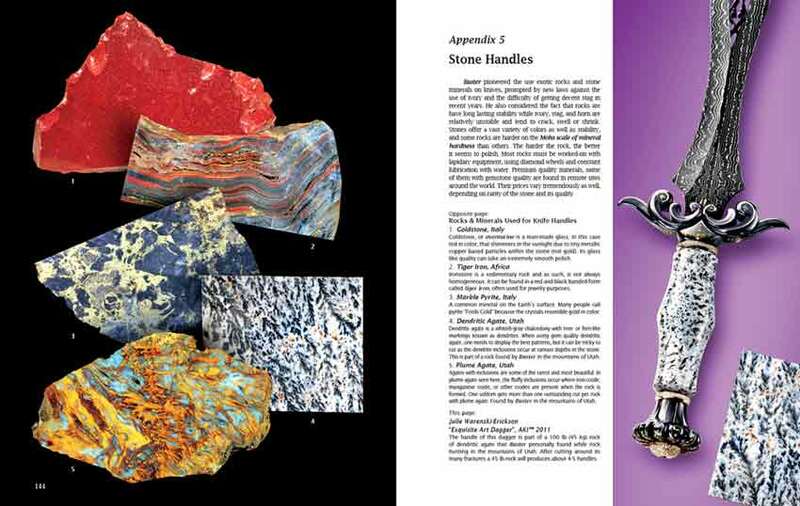 Many of these are included in the book. Curt Erickson learned knife making from Buster and Julie first learned to engrave from Buster. 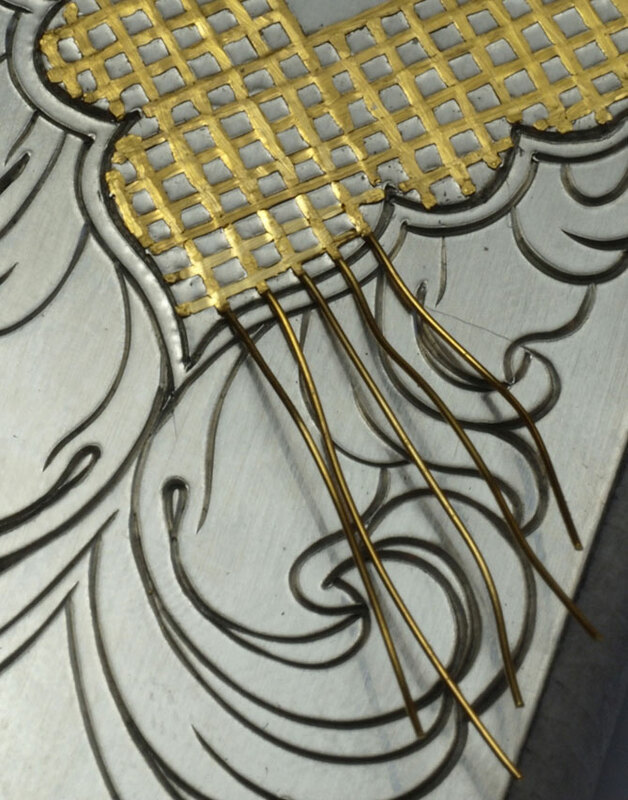 Julie is now engraving many of Curt's art knives and Julie has learned knife making from Curt. 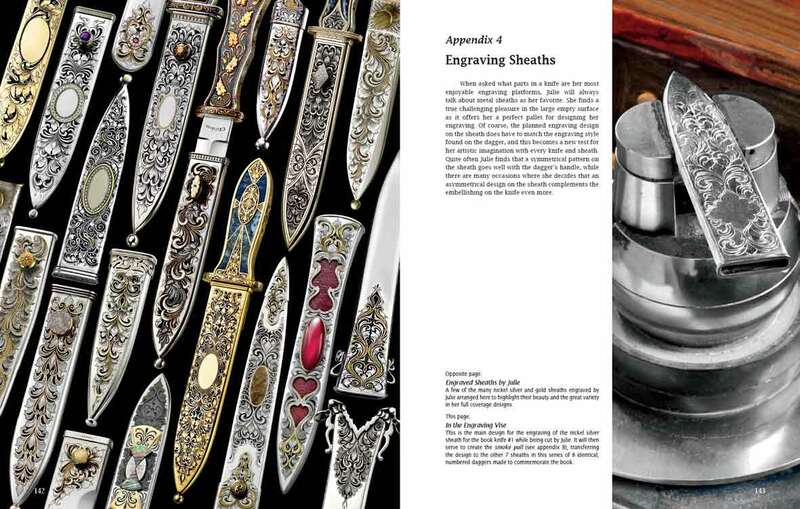 Today Julie and Curt are turning out some of the very top pieces in the world market of Art Knives. 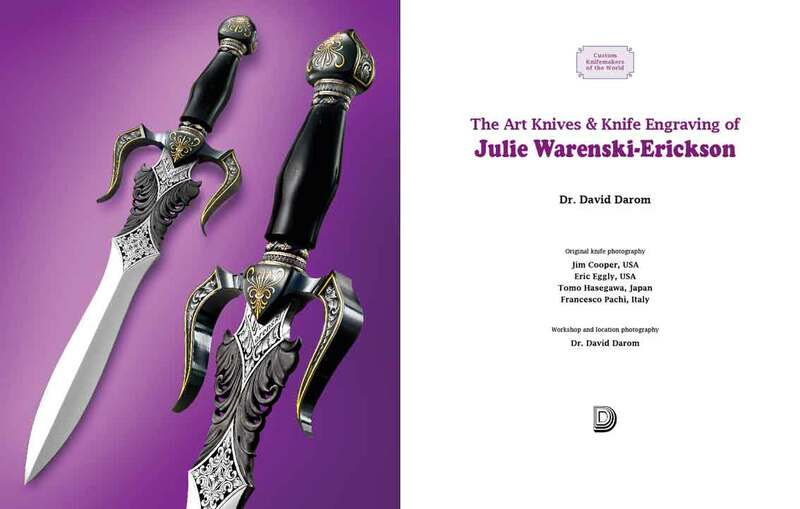 This is a fantastic book about the amazing life of Julie and the work and Art Knives she has created and help to create. 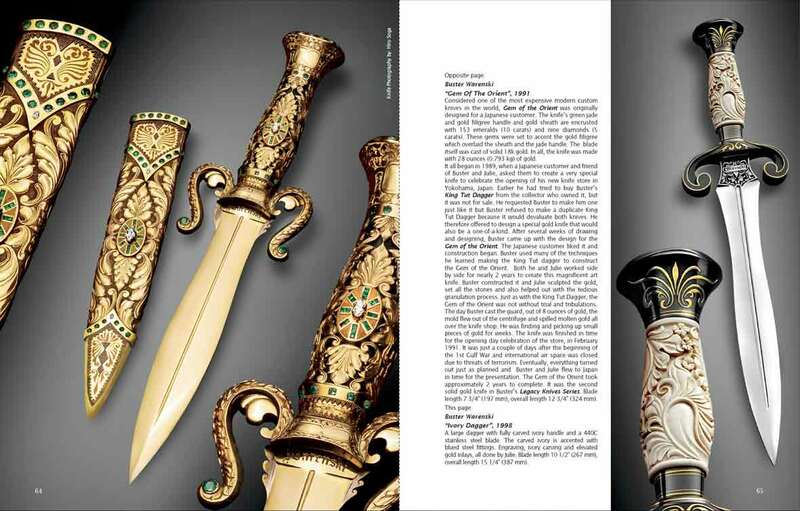 Phil Lobred, the legandary Art Knife collector and supporter of Art Knives, wrote an informative Foreward for the book. The book is only available directly from Julie. The price of the books is $95. + shipping. Domestic shipping is $12. and international is $25. There is a paypal button for these orders on my website. Click here to go to my site. The price for a limited, signed and numbered 1-100 book is $150 + shipping. The book is only available direct from Julie.